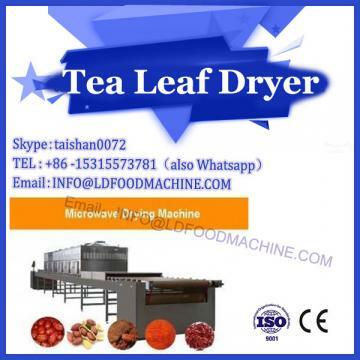 Drying is the process of preserving the product by reducing the moisture content of the material, and freezing is the process of preserving the product by lowering its temperature to the freezing point of the water. The moisture and other volatile components in the material are removed during the drying process. This is a process that combines physical changes, physiological and biochemical changes, and heat and mass transfer. 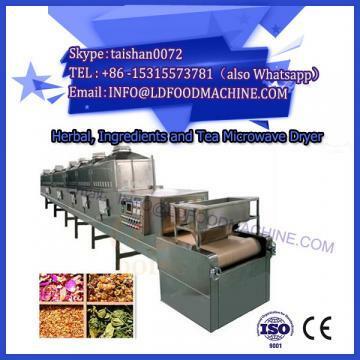 After the material is processed by the microwave dryer technology, the moisture content of the material can be reduced, the material quality and volume can be reduced, the transportation and storage can be facilitated, and the shelf life of the articles can be prolonged. 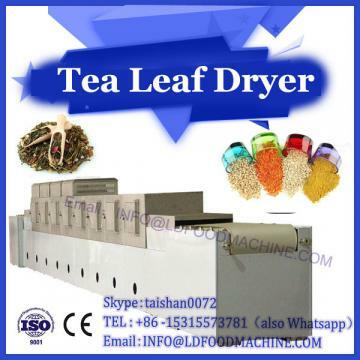 Drying methods include conventional air drying, air drying, electric oven drying, and heat pump drying. A heat pump is a device that converts low- and medium-temperature heat energy into medium- and high-temperature heat energy. It is characterized by a large amount of high-grade energy to produce a large amount of medium-high temperature heat energy. Heat pumps have been widely used in the HVAC and refrigeration industries as refrigeration and air conditioning systems. Peter Ritter von Rittinger developed and manufactured the first heat pump, although in subsequent production applications, the heat pump system has many different application designs to meet different production needs, but the main components of the heat pump are still compressors, condensers, The throttling device, the evaporator and the heat pump working medium are composed. This article focuses on the drying technology of various products using heat pump systems as heat sources. Heat pump technology has the advantages of energy saving, safety and environmental protection. After long-term research and development, heat pump performance has been greatly improved. Heat pumps have been converted into heat pump systems such as gas engine driven heat pumps, ground source heat pumps (GSHP), solar heat pumps, photovoltaic thermal (PVT) heat pumps, chemical heat pumps and desiccant heat pumps. Recently, research hotspots in heat pump systems are energy efficiency, hybrid systems, and new applications. In order to improve the heat transfer coefficient of the heat pump system, it is possible to improve compressor performance, multi-stage compression, increase injectors, and adopt new heat pump working fluids. Heat pump systems are widely used for air heating and cooling, seawater desalination and drying. Its advantages lie in energy saving potential and control of the temperature and humidity of the energy carrying medium. These properties are ideal for drying. The heat pump dryer is a combination of a heat pump system and a drying unit, which can improve the overall thermal performance by recovering latent heat and sensible heat from the exhaust gas, and can effectively control the temperature and humidity of the air at the inlet of the dryer. Using a heat pump dryer saves about 40% of energy compared to a dryer that uses a thermal resistance heater as a heat source. Heat pump dryers are suitable for high value-added products. In order to improve product quality and reduce drying costs, it is necessary to improve the performance of the heat pump dryer to control transient conditions such as temperature, humidity and wind speed. To this end, some scholars have proposed precise mathematical models to study the performance of heat pump drying systems.